These packages of 100 poms come in six sizes, ranging from ¼ to 2", and an assortment of basic colors. Bulk packages are also available. Pound Of Poms — Approximately 1200 pieces. Assorted colors and sizes. 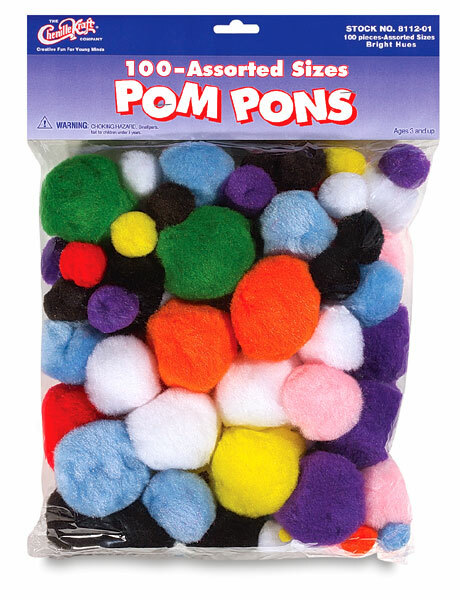 Pom Pon Classroom Pack — Package of 300 assorted colors ranging in size from ½" to 1½".